Home Travel 8 Amazing Places near Hyderabad you never knew about! 8 Amazing Places near Hyderabad you never knew about! The city of Nawabs, Hyderabad (in India), is a very interesting place to tour around. Of course day trips around Hyderabad city take you through those musical waterfalls, wonderful hills, and tranquil lakes. Apart from the core Hyderabad tourist places, there are many other somewhat unexplored places to visit near Hyderabad. 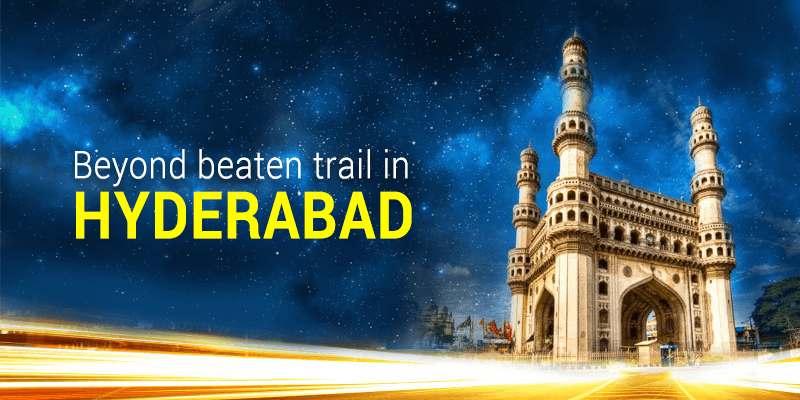 Today we bring a compilation of such wonderful Hyderabad tourism attractions, lying on the outskirts of the great city. Nagarjuna Sagar Dam is one of the best places to visit near Hyderabad during those sultry summer months. Though Nagarjuna Sagar is not a hill station yet it is surrounded by three beautiful hills and a river. The dam was built between 1955 and 1967 to barricade the gushing waters of River Krishna. 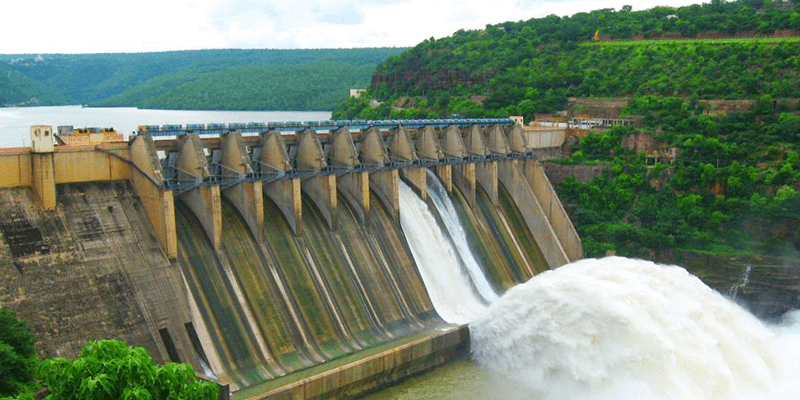 The Nagarjuna Sagar Dam comprises of 12 large gates and it is an astounding experience to view gallons of water passing through these, during the monsoons. Nagarjuna Sagar is situated 164 KM away from Hyderabad city center. While at Nagarjuna Sagar you have plenty of sightseeing opportunities. You can take a boat trip to an island in Nagarjunakonda Valley. The Valley offers great views of the nearby mountains and the dam. Apart from this, there is a Buddhist monastery with an interesting museum. Tip: If you are visiting Nagarjuna Sagar area during the monsoons do care to check out the Ethipothala Falls. Situated about 212 KM away from Hyderabad, Srisailam is a revered temple town in Andhra Pradesh. Of course the prime attraction of this city is the Mallikarjuna Jyotirlinga at Srisailam temple, but there are plenty of other places to tickle your adventure craving soul. While at Srisailam, one should definitely visit the Ista Kameshwari temple. The road to this temple passes through dense forests and reaches you to this serene temple. Another notable attraction of Srisailam are the Akkamahadevi Caves. The caves run 80 feet deep and you will understand the meaning of darkness while touring through this cave complex. There is also the Srisailam Tiger Reserve, which offers you a scope to view those grand beasts in their natural habitat. 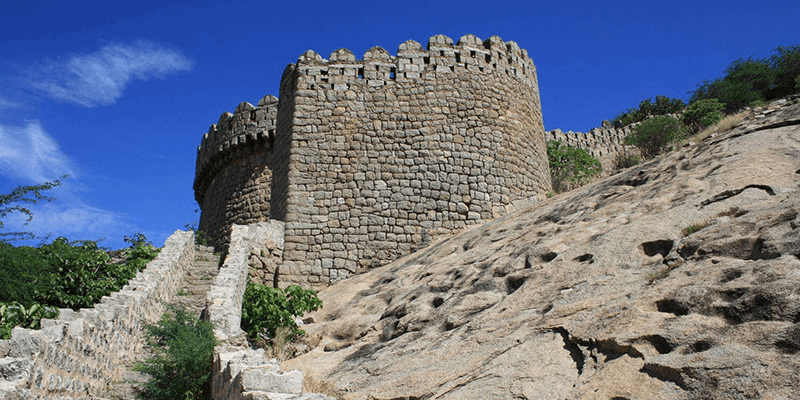 Bhongir Fort, situated about 50 KM away from Hyderabad city, was built by the famous Chalukya king Tribhuvanamalla Vikramaditya VI in 10th century. The fort is built upon a monolithic rock and has an egg shaped structure. A tour through the Bhongir Fort takes you through many underground chambers, trap doors, horse stables and an amazing armory. 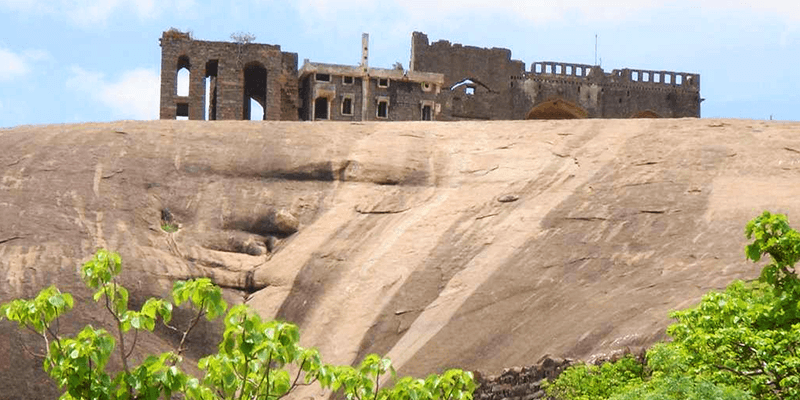 In the past few years, Bhongir Fort has become an important trekking destination for the adventure seekers. 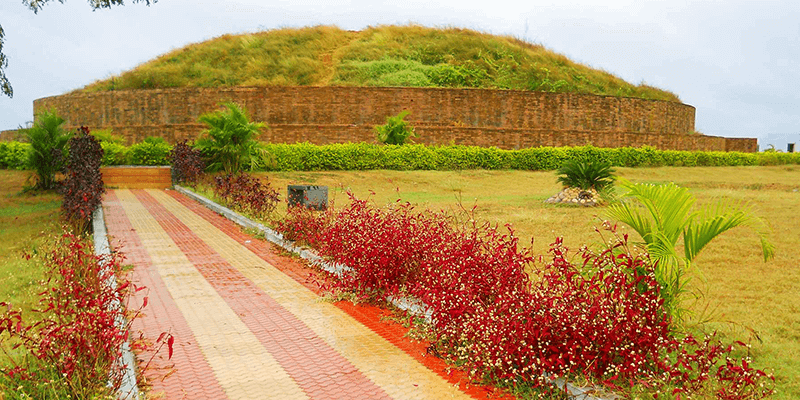 While at the fort, do climb to the ramparts and get amazing views of the surroundings. Must see: Do check out the idol of Sardar Sarvai Panapa, who was a popular ruler of Goud Community. The town of Nellakondapalli is a revered Buddhist site. Many Buddhist viharas, stupas, cisterns, wells, maha stupas, and a Bronze Idol of Lord Buddha dot the landscape of Nellakondapalli. Apart from its association with Buddhism, the town is believed to have been mentioned in the epic Mahabharata. It is also the birthplace of the worshipper Bhakta Ramadas and there are many ancient temples in the town. 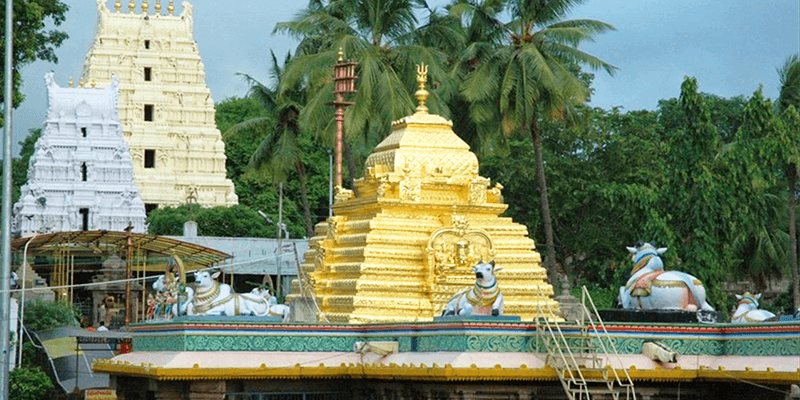 Two must visit places while in Nellakondapalli include the Sri Venkateshwara Swamy Temple and Perantalapalli. 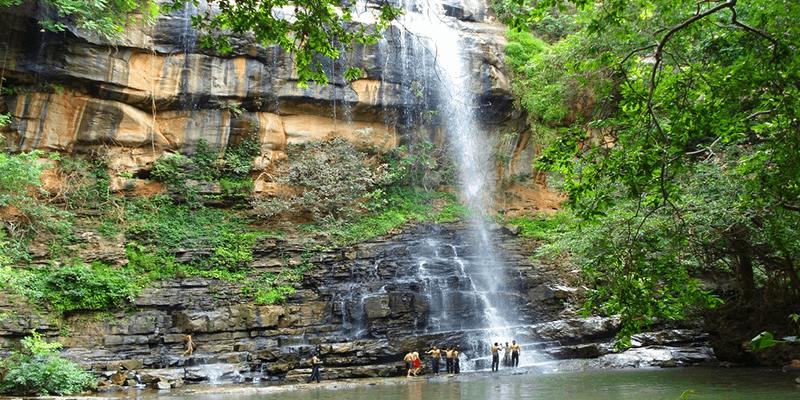 Mallela Theertham waterfall, located some 185 KM away from Hyderabad, has been described many a times as the most beautiful waterfalls of Telangana. Lying in the midst of Nallamala forest range, tourists can view water take a plunge of 150 feet from the cliffs, at this waterfalls! The gushing water crashes against a Shiva lingam shaped rock, giving it religious significance. Though Mallela Theertham waterfall is beautiful all around the year, yet monsoons are a special time to visit. Must do: There are small plunge pools created near the waterfall. Tourists can swim and have lots of fun in these pools. They are also quite safe too. 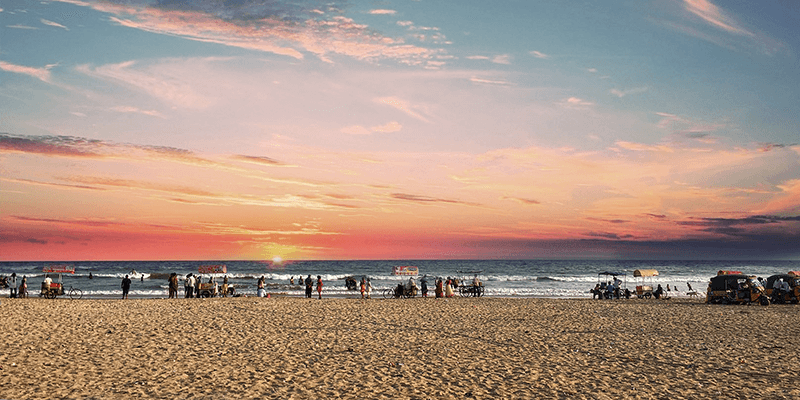 Suryalanka Beach is the closest beach destination from Hyderabad city. It is no wonder than that Suryalanka Beach is one of the best weekend destinations from Hyderabad. The beach is lined with coconut trees and there are lush green fields in the near vicinity. Tourists would love swimming in the crystal clear Bay of Bengal waters, or sunbathing at the huts built on the side of this beach. If you want some solitude away from the bustle of city life, then Suryalanka is the perfect destination. Must see: The sunrise and sunset at this beach is scenic. The historic Rachakonda Fort was built in the 14th century. It has a two-storey structure with stone pillars. Surrounded by beautiful valleys, the interiors of this fort are a marvelous specimen of Hindu architecture (as demonstrated through the intricate carvings). Some years back an 8-feet high Shivalingam was excavated from the fort premises and has ever since become a highlight of the Rachakonda Fort. Must see: Do visit the famous temples of Lord Hanuman, Shiva and Manimandapam. If you love trekking then head straight towards the Ananthagiri Hills. 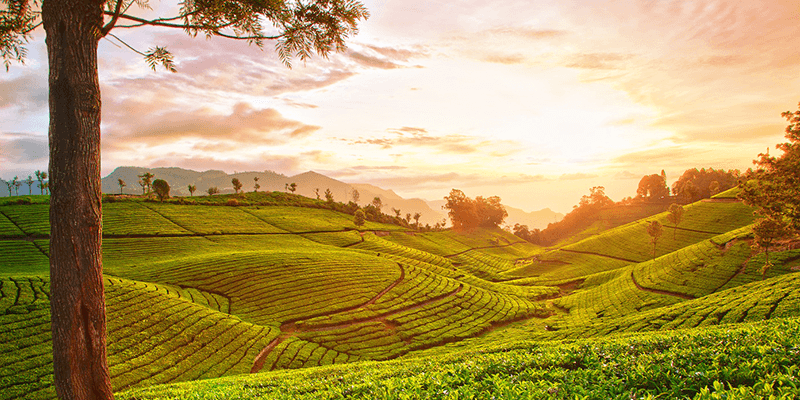 These scenic hills are regarded as one of the best trekking destinations in South India. A part of the trekking trail leads, adventure loving tourists, through the Anantagiri forests. While at Ananthagiri Hills, you can feast your eyes on scenic natural beauty and waterfalls. Two of the must visit tourist attractions of the Ananthagiri Hills are Anantha Padmanabha Swamy Temple and Nagasamudram Lake. Must do: There are various adventure sports options at the Ananthagiri hills such as balancing boards, rock climbing, Tarzan swing, and Spider web. Ready for a Hyderabad trip, with a difference? Previous article5 Places that will make you fall in love with Mumbai rains! Sir , It is not NELAHONDAPALLI , It is NELAKONDAPALLI. Please correct it. Thank you. Please rephrase the information about Ananthagiri hills. It’s just a small hill, with a temple. All others mentioned in this blog are conducted by resorts over there. Only other option there is kayaking in the nearby lake. Was totally disappointed after reaching there.